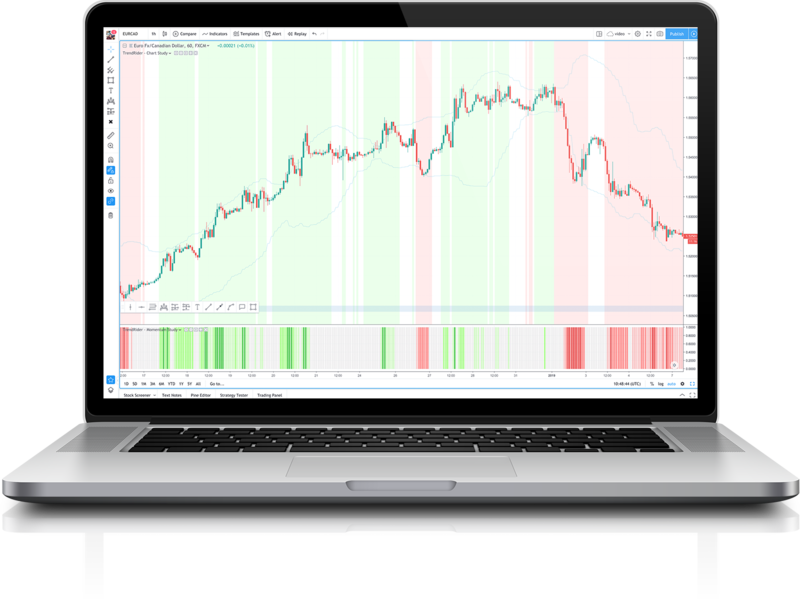 The Trend Rider indicator combines powerful price action analysis and sophisticated algorithmic data analysis to provide traders with high-accuracy chart analysis and support the decision-making process. You can use the Trend Rider to trade all the markets (all Forex pairs, all CFDs and Cryptocurrencies) on all timeframes! With the Tradingview app (Android and iOS), you can use the Trend Rider on any device. The Trend Rider also works right on your phone with the Tradingview app. The Trend Rider desktop version also works on MetaTrader 4. The usual problems with trend-following are that traders are either way too late because they are scared of pulling the trigger, or they are too early because they do not want to miss out. The Trend Rider indicator suite was built with that in mind. 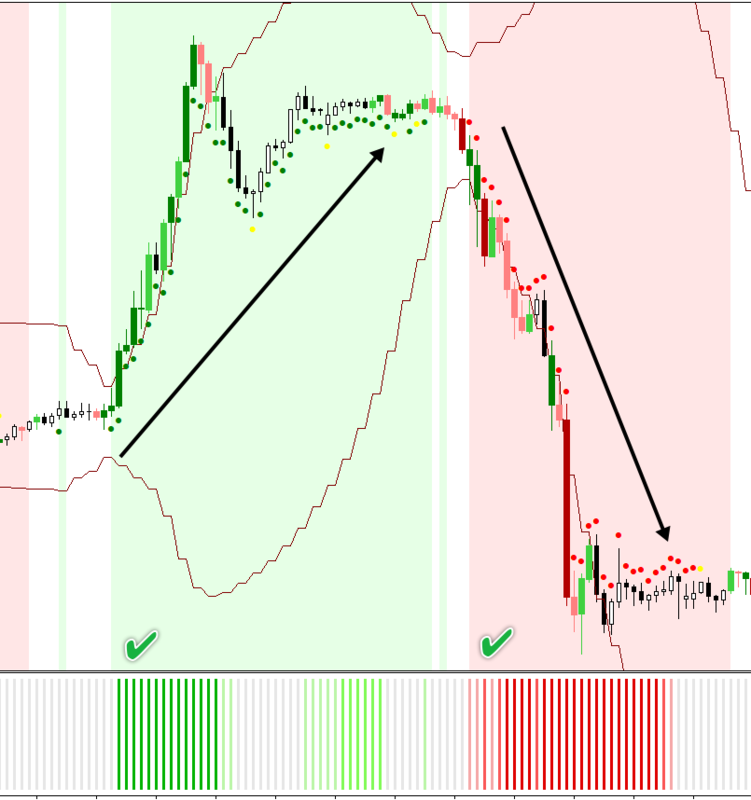 The Trend Rider provides chart analysis that is effective at detecting new trends but finds the exact sweet-spot between early and late entries. Conventional indicators are known to provide somewhat lagging signals. 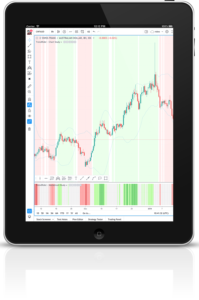 The Trend Rider combines leading price action with advanced data analysis in order to provide the best possible analysis right on your charts. New trends are detected early on and with the trend-continuation signals, you can trade with a high level of confidence. Use the TrendRider directly with Tradingview wherever you go. The Trend Rider has been developed for MetaTrader as well. 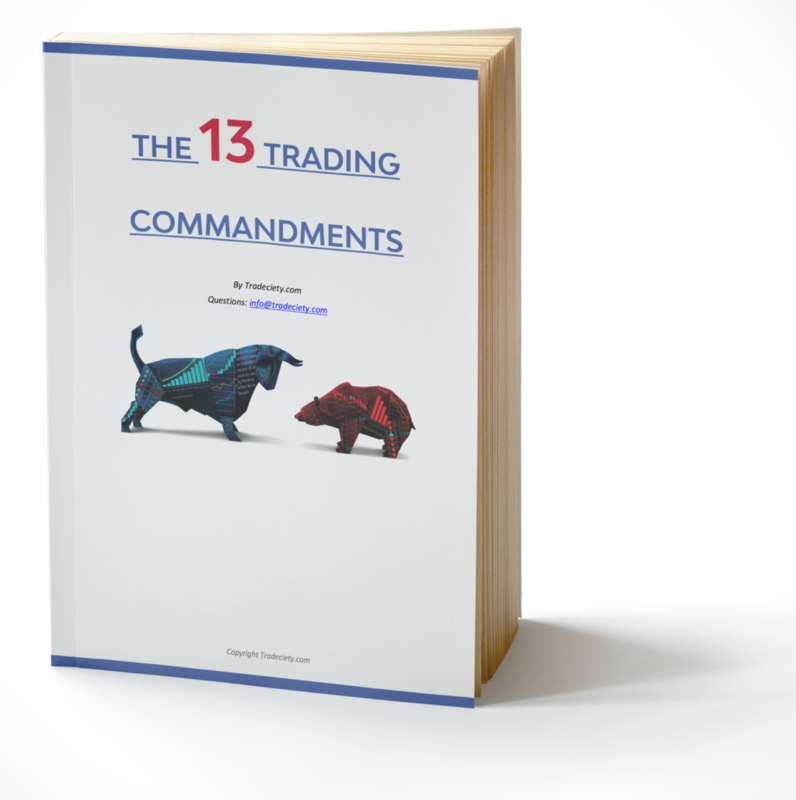 Developed for Forex, CFD and Crypto. For all timeframes! You can install the Trend Rider on multiple computers with one license. You can use it on different accounts too. 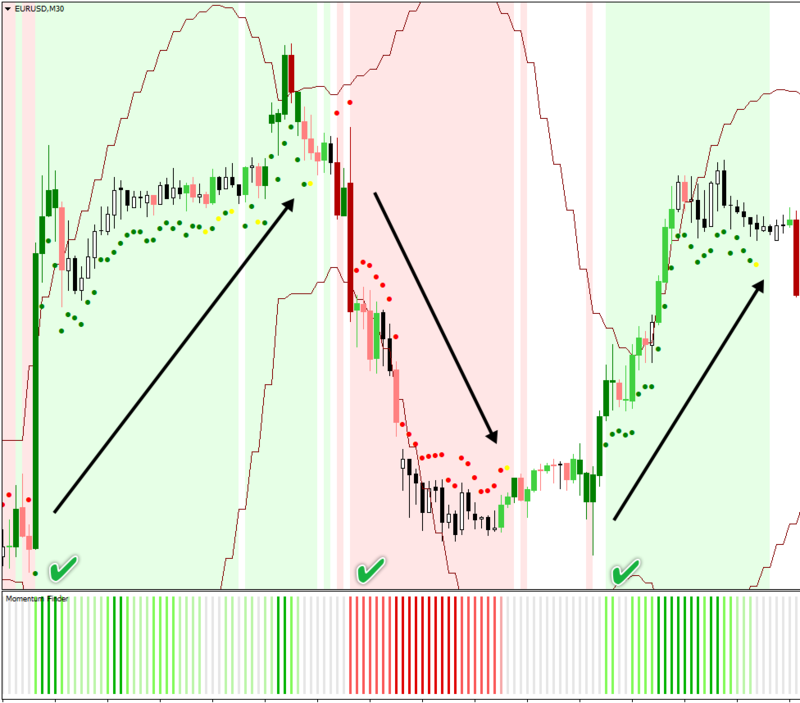 Use the powerful Trend Rider signals on their own or combine it with other trading concepts. 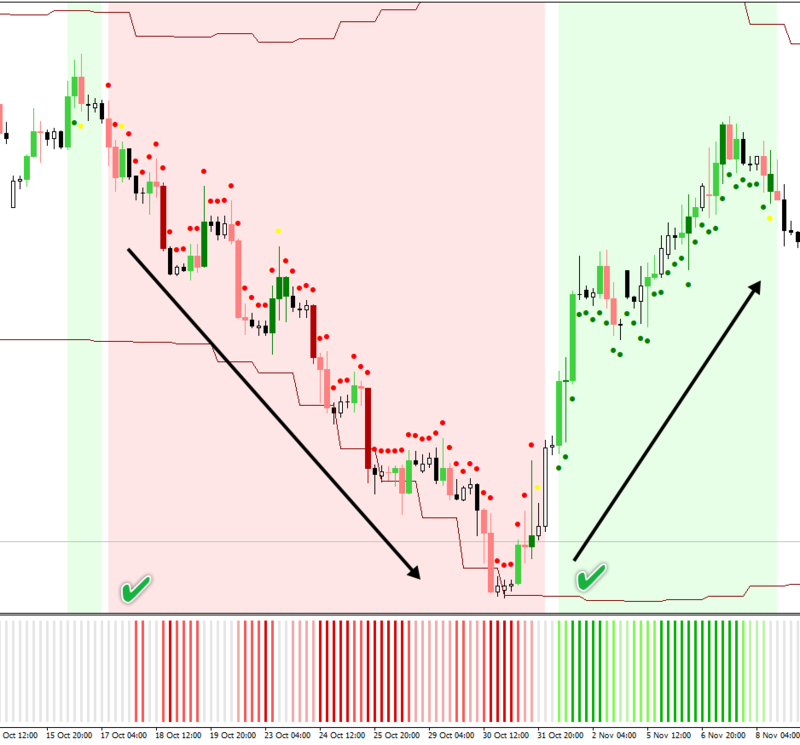 The Trend Rider indicator is not like any other conventional indicator. It perfectly adapts to all market conditions and trading tools. The Product is sold via the external platform Gumroad, Inc. and to the contractual conditions specified therein. By using this link you will be redirected to the website of Gumroad. Tradeciety.com does not assume any liability or warranty insofar. In view of the above, there can thus be no guarantee or promise given for the success or profitability of investments made. By using this website, you expressly acknowledge and agree that Tradeciety cannot be held liable for any and all damage resulting from investments made. * Affiliated links disclaimer: Tradeciety will earn a commission if you decide to sign up through the listed URL. Tradeciety cannot be held liable for 3rd party links. Please do your own due diligence before entering into a contract with a 3rd party.